The M5640SU comes equipped with a 2.4 Liter (149 cu in) engine producing 57.6 horsepower @ 2,700 rpm. 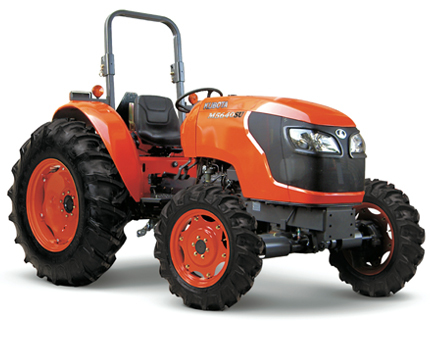 Compared to the average utility tractor which produces 93 horsepower, this model produces 57.6 hp, 38.1% less, certainly worth noting if you intend to use your machine for any strenuous task. In addition, the engine produces 50 power take-off (PTO) horsepower, 36.7% less than the utility average of 79 hp, placing it near the lower bound of power available for implements.